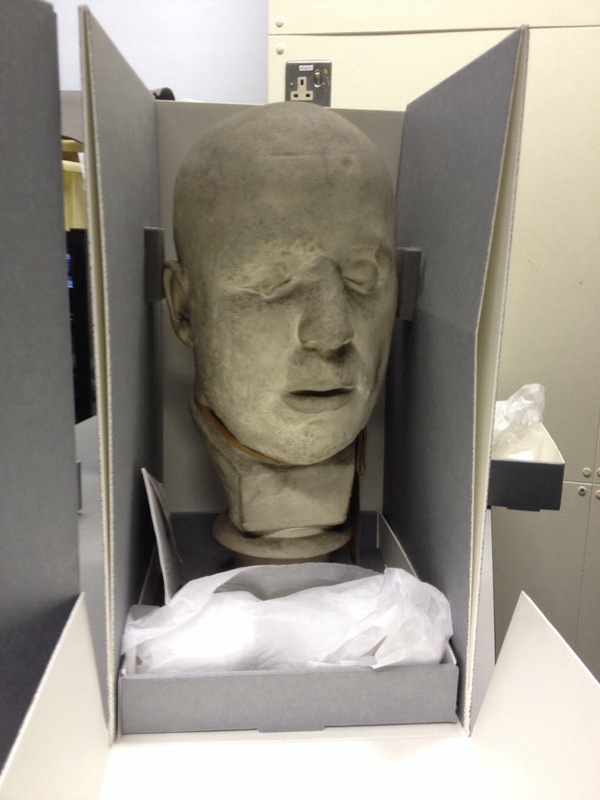 Where can you see death masks and Darwin’s tweezers? The University College London collections. I love to scope out what other people have hidden away and last Wednesday Curator Nick Booth kindly took me and my colleague Andrew Mangham to look at their stores. Andrew is an expert in 19th century gothic fiction, real life Victorian murder cases, and Charles Dickens so we were particularly interested in the criminology collections. 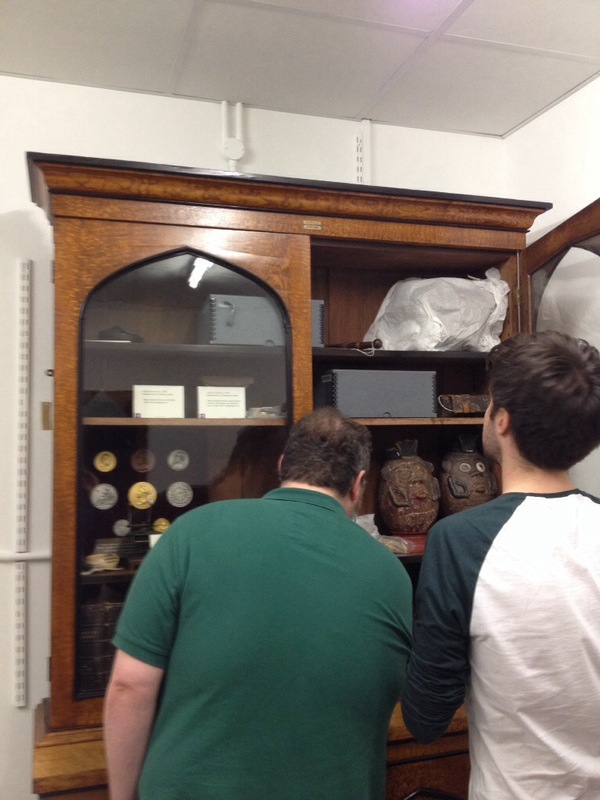 We weren’t disappointed when confronted with a collection of death masks. The masks of the great and good sit alongside a morbid collection of masks taken from executed criminals. 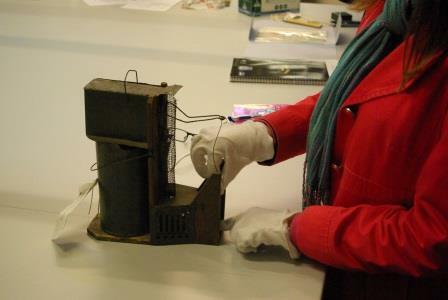 Read Nick’s own blog post for more information about this fascinating collection. One mask had several cut marks where the swordsman had not found his mark the first time around. Another was mysteriously split in half. Andrew noted that Dickens witnessed and described an execution by guillotine in which the head was severed in half. 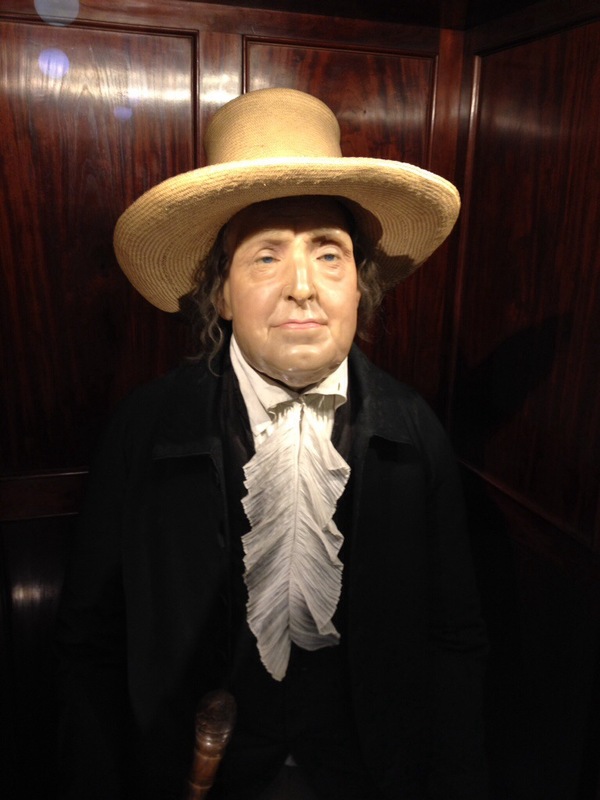 He also noted that in Dickens’ work such masks are described as decorating the office of a lawyer (I am not a Dickens expert so I’ll get the exact quote for anybody who is interested). Isn’t inter disciplinarity great? 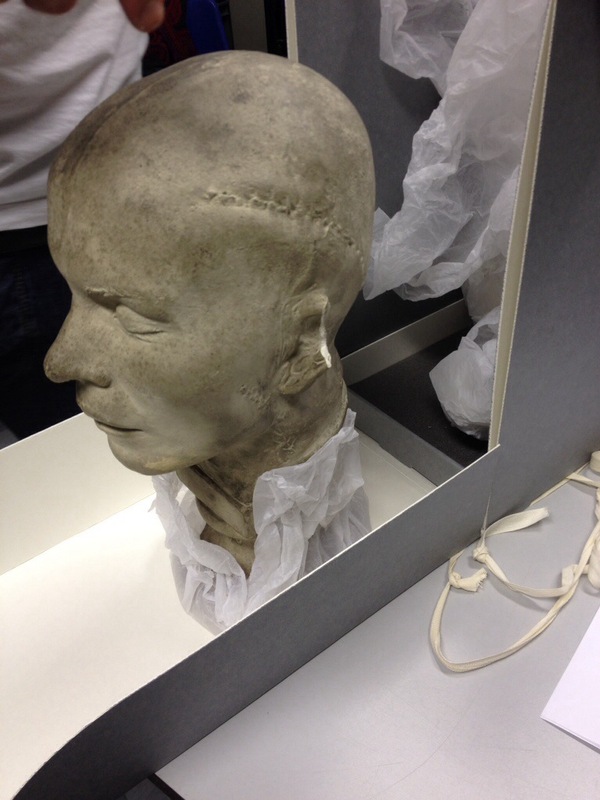 We looked around the Galton collection and saw examples of early fingerprinting and phrenology equipment. Galton was Darwin’s cousin and idolized him. 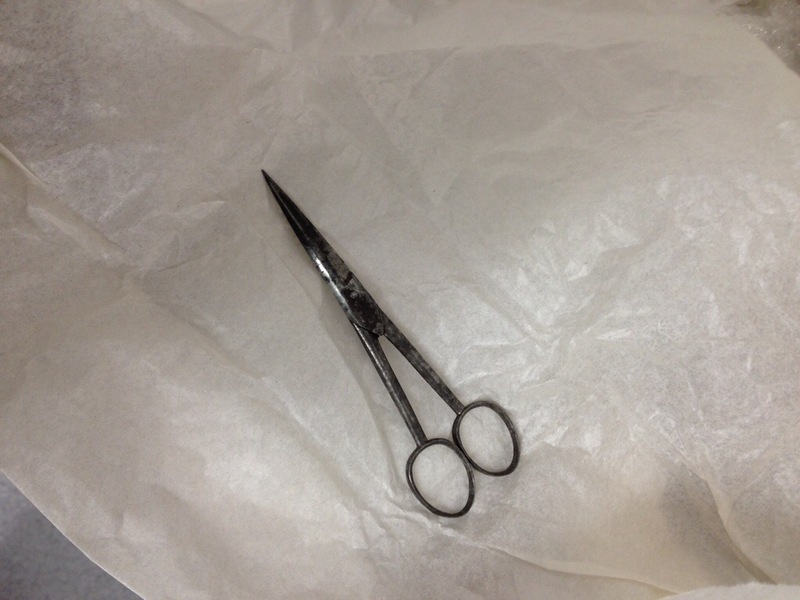 Thus, in his collection he had Darwin’s tweezers, pruning scissors and coat clasps. There were drawers full of fascinating and baffling looking pieces of equipment so we are planning to head back soon to quiz the specialist curator Subhadra Das.